This accessible volume sets an ambitious goal: to help people better understand the nature of mental illness. The term itself is a problem for most who believe, consciously or not, that individuals have both a mind and a body. Ronald Chase is interested in the roots of this thinking about mental illness, and finds it in philosophical dualism, famously promoted by Rene Descartes in the seventeenth century. Chase believes this perspective contributes to the stigma associated with mental illness, and argues for a different conceptual understanding. He describes and evaluates several alternatives, including behaviorism, physicalism, and functionalism. He also explores whether mental states can be reduced to brain states, and whether mental events cause things to happen. His provocative answers suggest mind-body dualism is outdated and misleading, and some version of physicalism is more likely to help us understand mental illness. 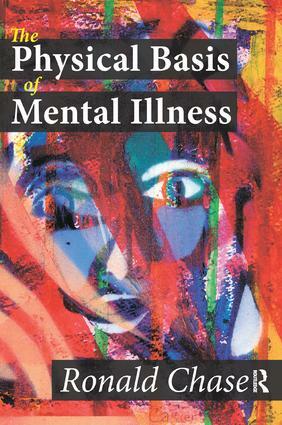 Chase presents a concise outline of the science of mental illness, with a focus on schizophrenia, noting that faulty brain development is the fundamental cause of major mental illness. Using detailed, but non-technical language, Chase describes how genes combine with environmental influences to produce changes in brain structures and functions. Chase insists on the need to understand mental illness as a biological phenomenon, yet accepts that people use mental terms and concepts in everyday discourse. This scientifically sound challenge to major assumptions currently in vogue with respect to mental illness will initiate a new dialogue on the subject. It will be important to academics, psychiatric professionals, and those affected by mental illness-victims, family members, and caregivers.